Pastor Eddie L. Barnes is a native North Carolina. At age twelve, his grandfather prophesied that God would call him to a great work. Eddie saw this prophecy fulfilled when God called him to minister the Word of God to the world at large. 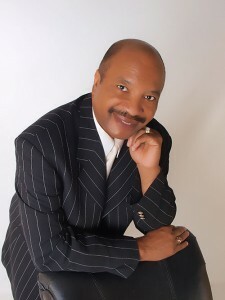 Pastor Eddie is presently the pastor and founder of World Overcomers Christian Center in Bunn, North Carolina, World Overcomers Bible College and Eddie L. Barnes Ministries, which is the outreach ministry of the WOCC. Eddie L. Barnes Ministries is a member of Creflo Dollar Ministerial Association (CDMA) under the direction of Dr. Creflo Dollar, Senior Pastor, World Changers Church International, College Park, Georgia. Dr. Barnes has received degrees in the areas of Theology, Philosophy, and Counseling.